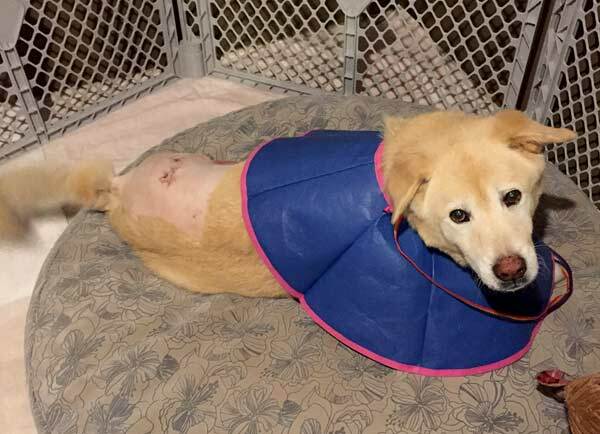 Tripawds member linda2 recently took advantage of the Maggie Moo Fund for Tripawd Rehab and got reimbursed for her consultation with California Animal Rehab for Barkley. 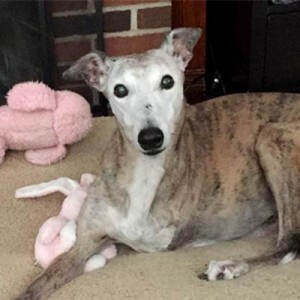 Read on for details about her experience, and don’t miss the Tripawds News blog posts and videos about CARE. Learn about the importance of rehab and how to get reimbursed! 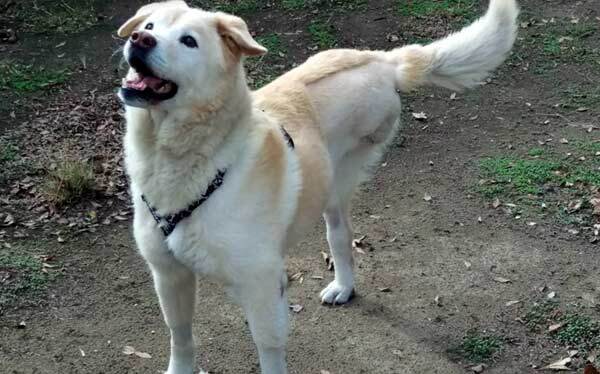 Barkley is an 11.5-12 year-old Lab/Chow/Golden mix. He has hip displaysia, arthritis, and some spinal stenosis and had his rear left leg amputated Dec 17, 2015, due to adenocarcinoma on his foot pad that would not heal, kept growing, causing infections and making it impossible for him to walk without extreme pain. 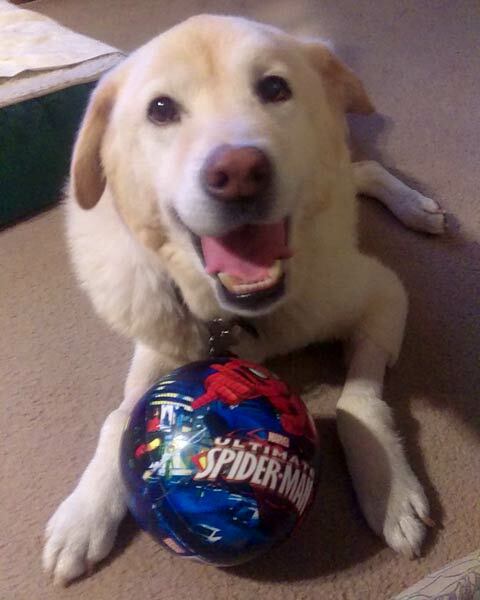 He became a tripawd to be free from pain and cancer, so we don’t believe treatment should stop with just amputation. Barkely recovering after amputation surgery. We chose CARE by recommendation of our surgeon. Upon arrival for our consultation, we entered a room of other furry ones and positive, loving pawrents ready for treatment and made to feel very welcome and hopeful by all. Once inside, the vet reviewed all current meds, food, supplements, exercise and past health issues and had a comprehensive chat of everything leading up to the present. They asked what we wanted to accomplish with therapy. We wanted to strengthen Barkley’s remaining leg to prevent injury; learn to re-balance his body weight to build a new foundation; address how his existing conditions may come into play with recovery and treat current and new aches and pains. They started by video taping Barkley’s walk and taking measurements of his body. They were informative, explaining everything along the way. 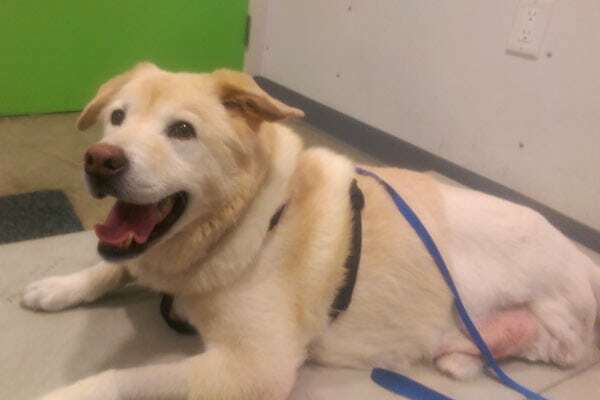 They lay Barkley down for a thorough, hands-on, full-body exam which exposed he was still experiencing some pain in his hip area and very sore on his front shoulders and right wrist from shifting all his weight to compensate his new walk. We noticed his front legs were bowing out a bit and didn’t realize it was due to so much aching! 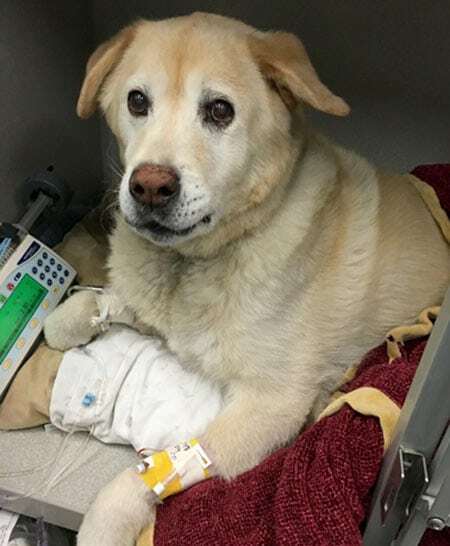 They also discovered he has intense pain in his spine as he tried to bite the vet when touched. 🙁 These pains were overshadowed by the foot pain he had, and now that the leg is removed, we can focus on these other pains as well as the rehabilitation process post-amputation. They demonstrated numerous stretching exercises and massage techniques on Barkley, giving me detailed explanation of purpose and instruction sheets to perform daily for him at home and taught me to read his body language indicating discomfort or pain and to ease back on pressure accordingly. We were given nutritional supplement suggestions, and recommended acupuncture and massage therapy twice weekly. The goal is to help him through the first month with relieving aches and pains and then focus on building core and muscle strength. There was NO pressure to sign up for therapy AT ALL. They even suggested other places to go to for lower prices on recommended medications than what they charged. Wow! They do the exam, ask questions, write up a therapy plan/recommendation and the rest is up to you. We went home with an Assisi Loop for accelerated inflammation reduction on his shoulders and back and begin therapy next week. I’m thrilled because I know this will help Barkley in so many ways really making his life as comfortable as possible in his golden years! Linda received $200 from the Tripawds Foundation, simply by seeing a certified rehab vet/tech and submitting her story. Have you scheduled you free rehab session yet? What are your waiting for? Adopt a Tripawd. For Free! WOW! What a wonderful assessment of Barkley’s “assessment”!!! And kidos to the staff at CARE! Clearly they know their stuff AND they CARE!! I was fascinated to learn how they uncovered Barkley’s pain points that had been hidden due to his “issues”! Such valuable insight to help Barkley continue to love a pain free life. And the photos…OMD! Such a sweet face!! I love how he gets happier and happier with each photo! Such a heartwarming post. Thank you! We are so thankful for the tripawds.org forums and website resources. Without Tripawds I don’t know how we would have gotten through this, and it continues to be a priceless resource.